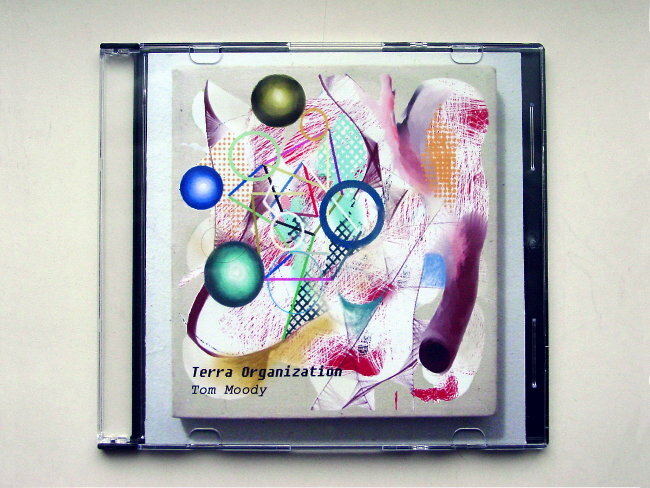 My first stab at a CD with booklet-style cover, added to the "merch" for my recent Bandcamp release, Terra Organization. 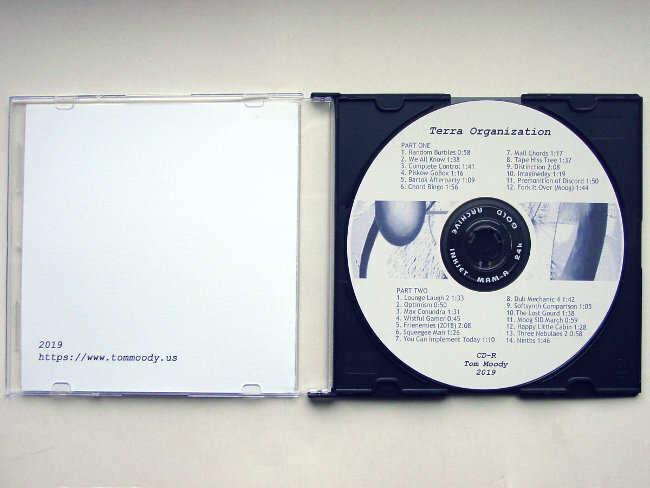 It's not really a booklet, just a folded piece of paper with the cover image on one side. 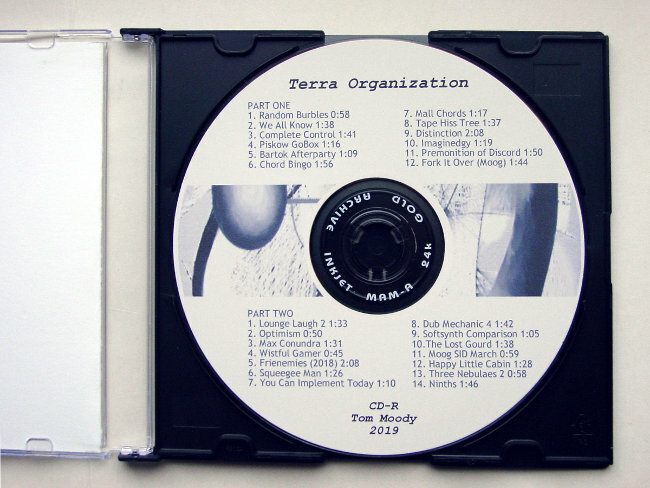 Most of the info is on the CD itself.